"Saturday Night Live" tackled the question on everyone's mind -- well, some people's minds -- "What if Donald Trump was black?" Kenan Thompson, complete with blond wig, starred in the taped sketch as Trump, with Chris Redd playing a Donald Trump Jr. clone, named Darius Jr., and Ego Nwodim as an Ivanka Trump clone, named L’evanka, in a show called "Them Trumps." The show was a very thinly veiled spoof of "Empire," with Thompson's Trump as Terrence Howard and Leslie Jones in the Taraji P. Henson role. Instead of worrying about Trump Academy, Nwodim urged her father, "What about all the lawsuits that come out of Trump Perm Academy?" "You think your State of the Union is going to set all them haters straight?" Redd asks. "Of course it is, son. Now let's get up to the Capitol so I can do what I do and sauce on these hoes," Trump responds. "I know how to deal with Mueller," he adds. "I keep my white boys on a leash." 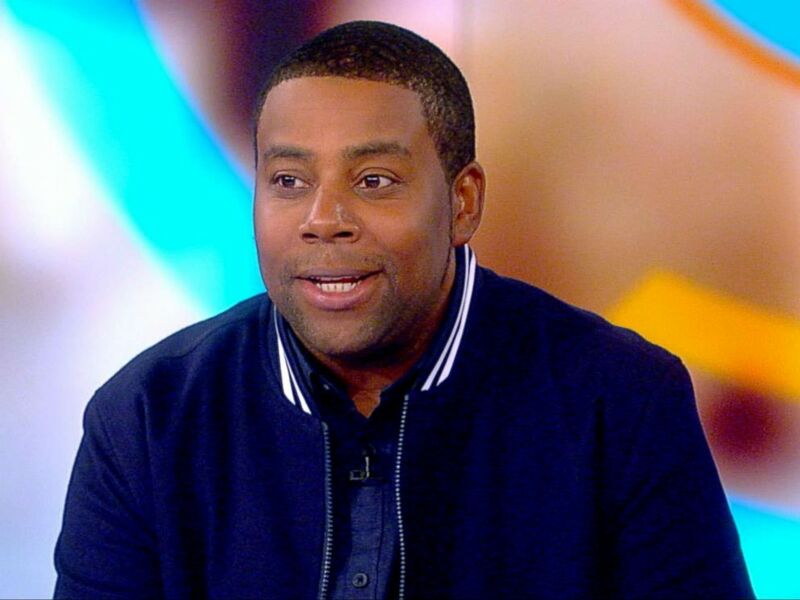 Kenan Thompson appears on "The View," Nov. 6, 2018. As the family is driving to the Capitol for Trump to give the State of the Union a police car pulls up behind them and forces them to pull over. "Be cool dad, we don't need you getting locked up," his son says. He says he's the president of the United States, but of course, that doesn't stop the white police officer from questioning him -- even though he's not even driving. Trump hands over his ID, but it doesn't go as he hopes. "Sir, please step out of the car," the cop says. "Here we go, somebody record it for World Star!" he says as he gets out of the car and the sketch ends. And if an "Empire" spoof wasn't your thing, how about a "Charlie's Angels" spoof called "Women of Congress," starring the likes of Alexandria Ocasio-Cortez, Rashida Tlaib and Nancy Pelosi.